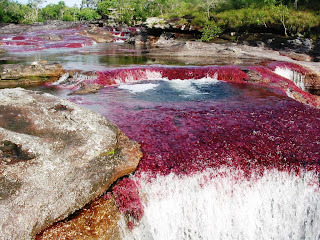 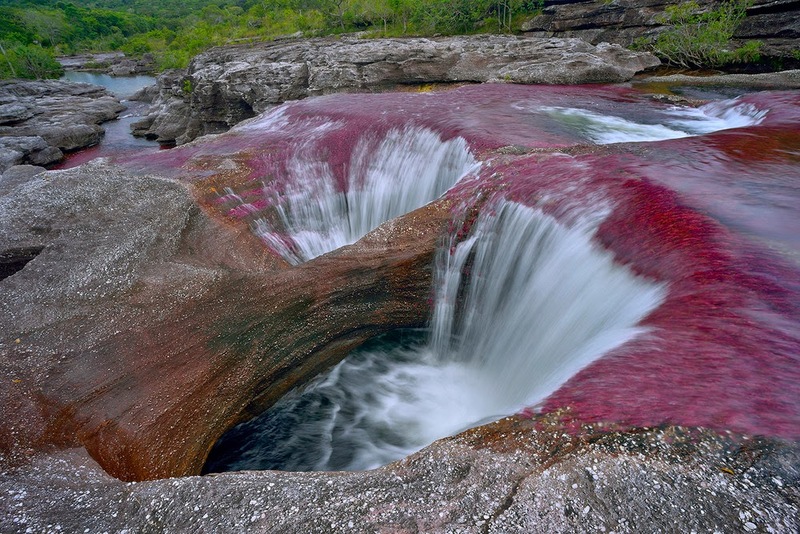 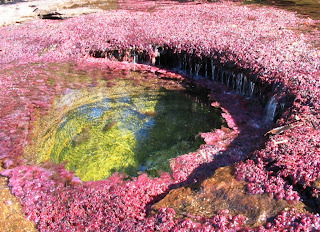 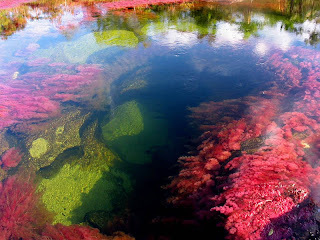 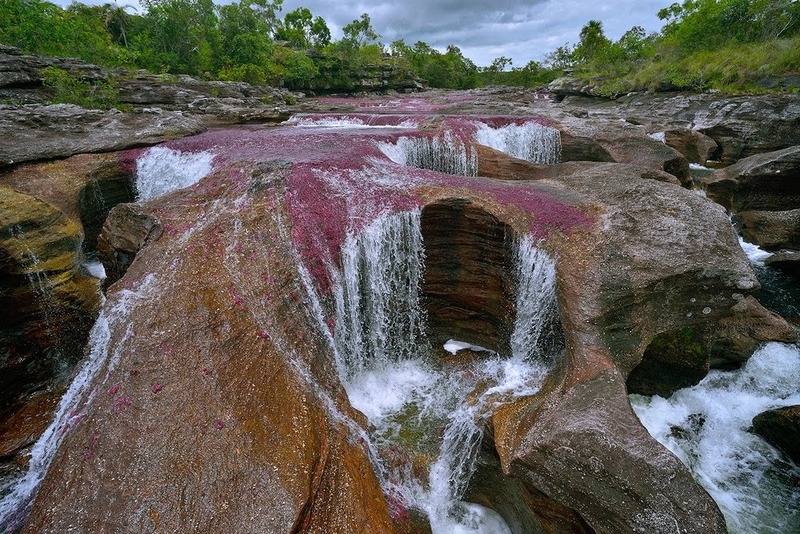 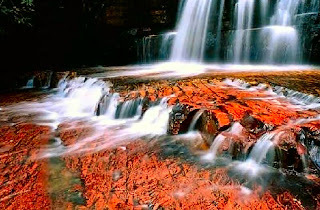 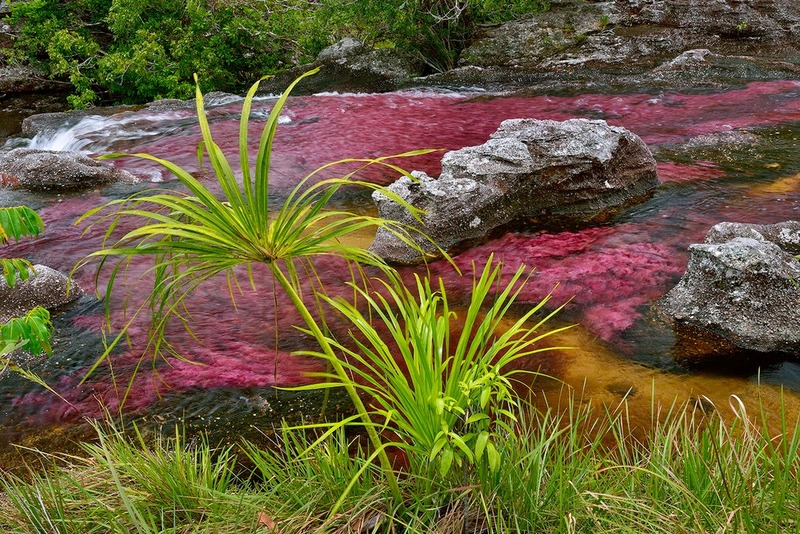 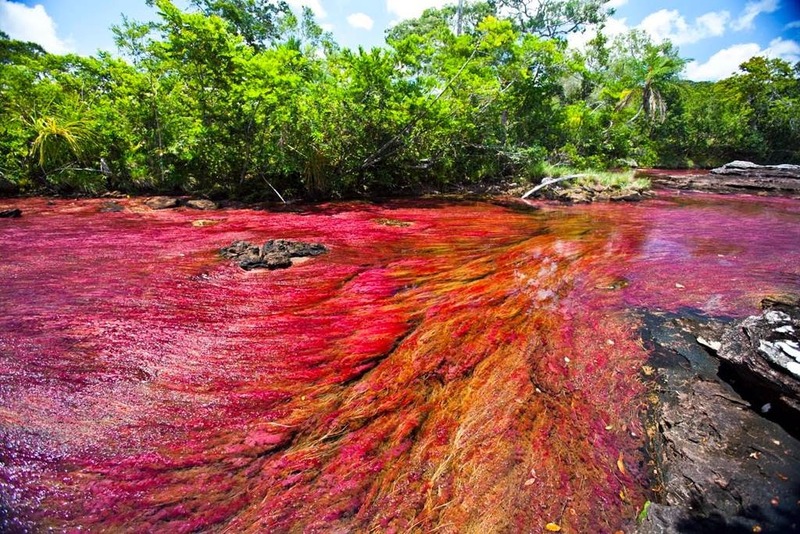 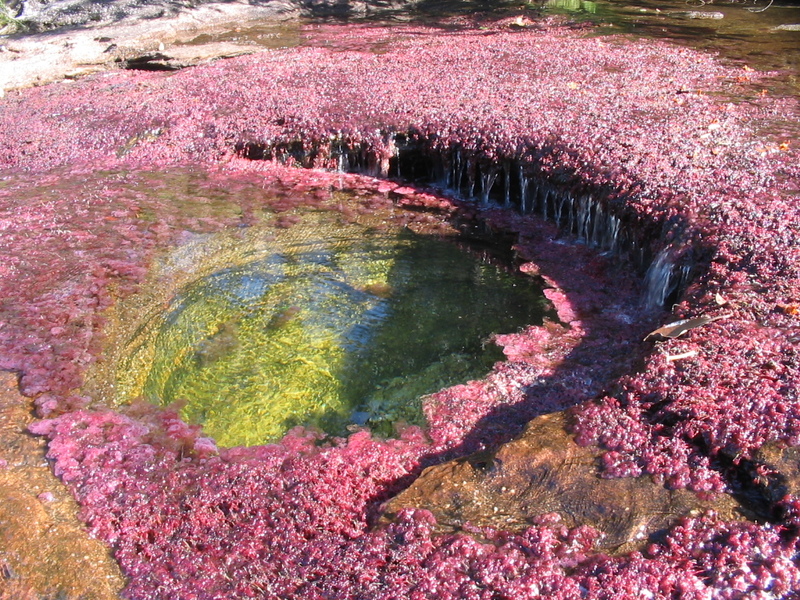 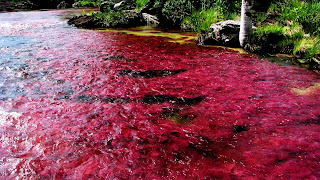 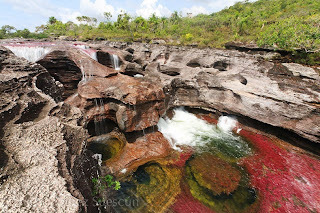 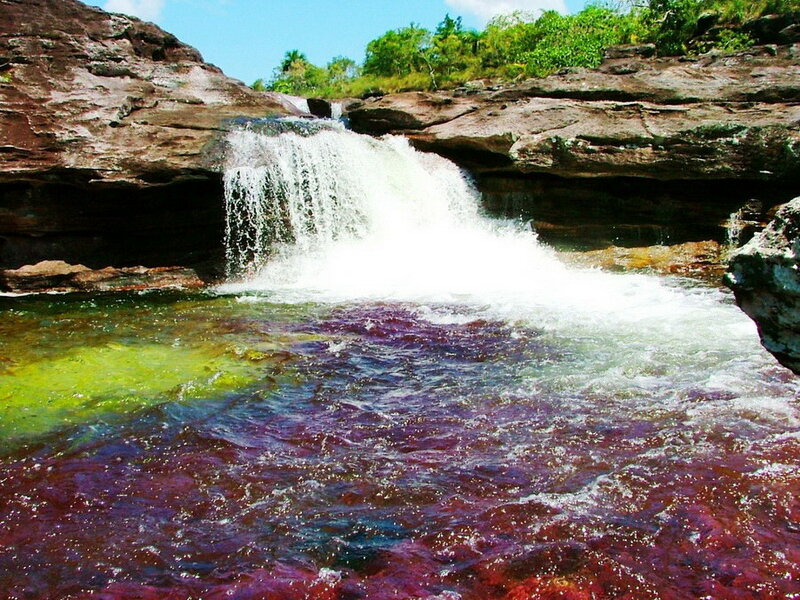 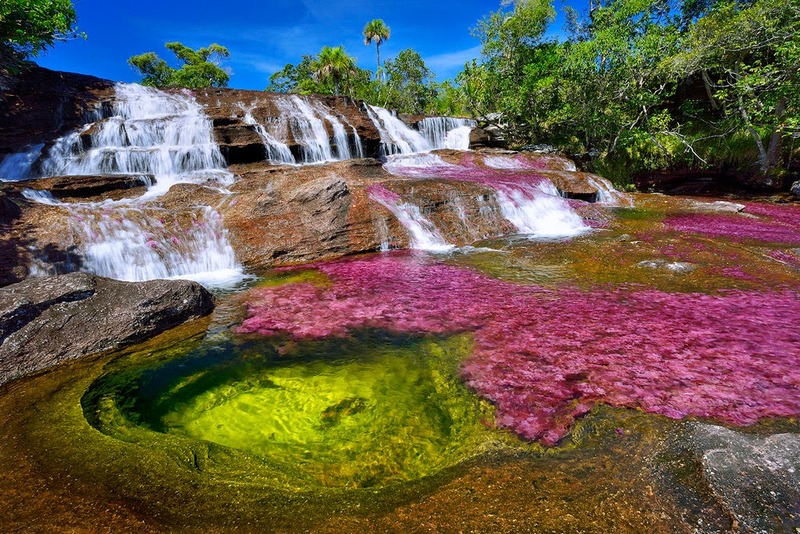 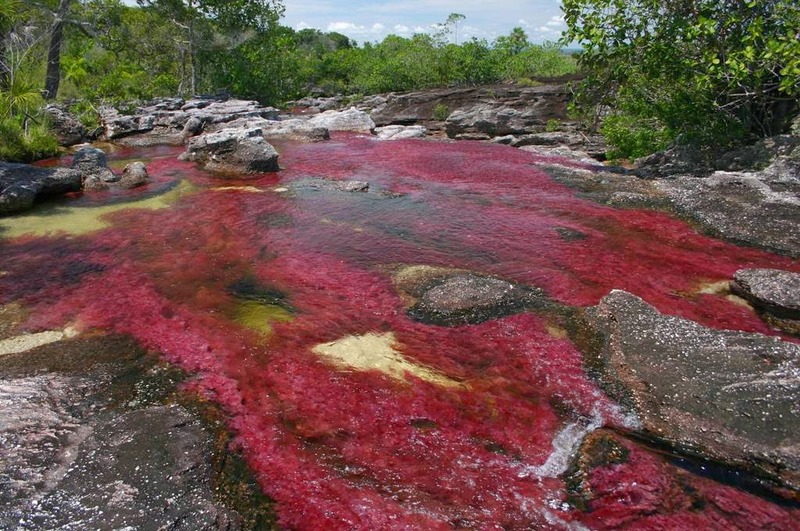 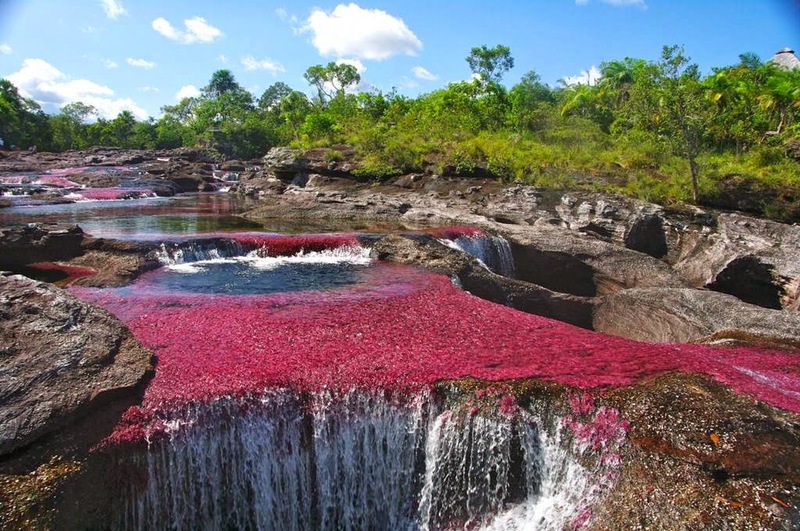 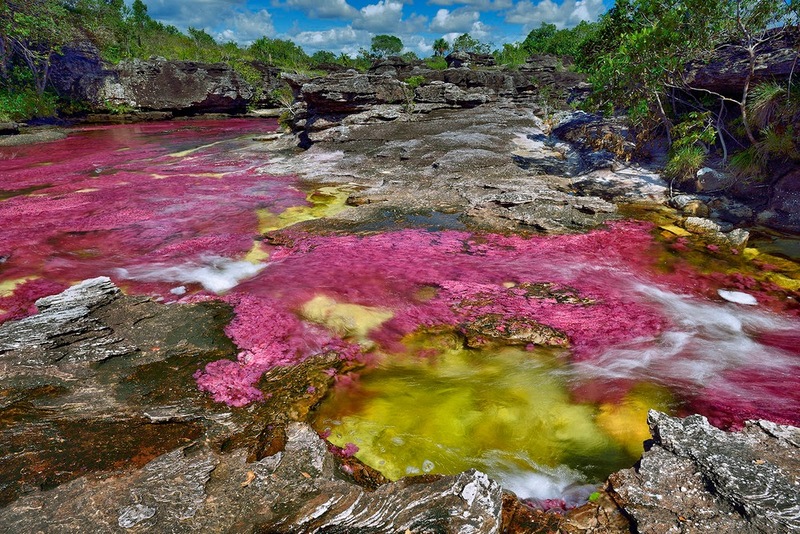 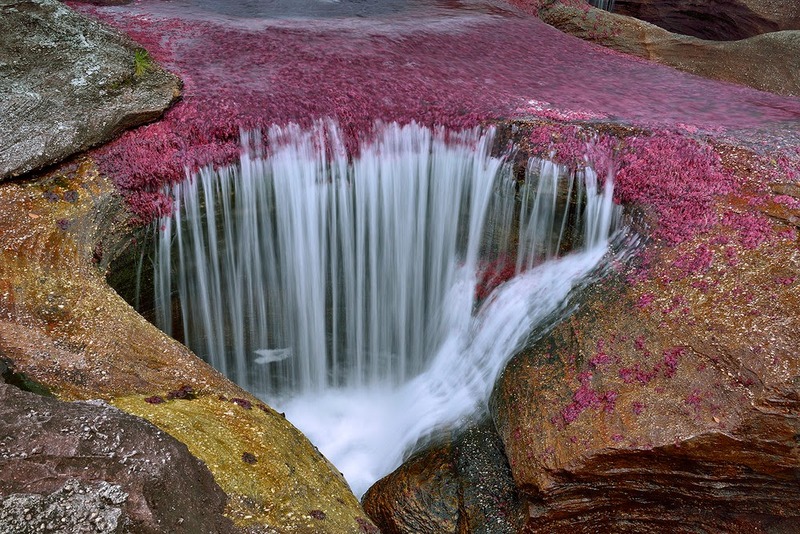 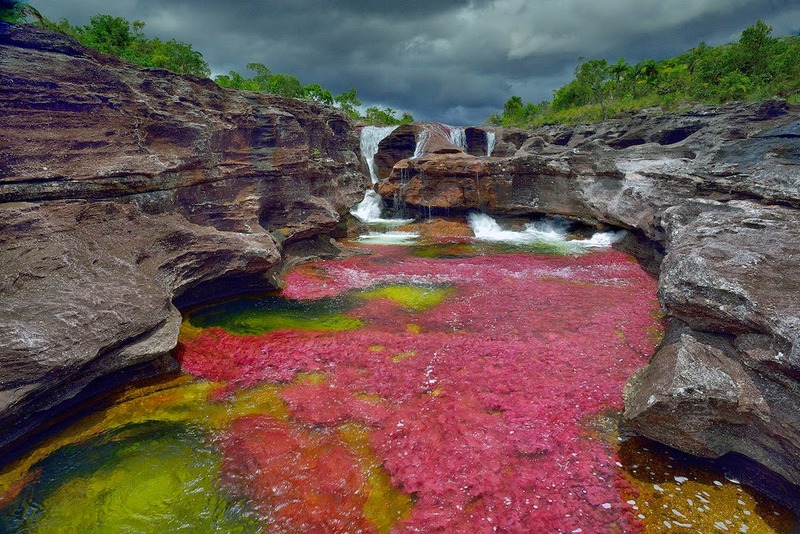 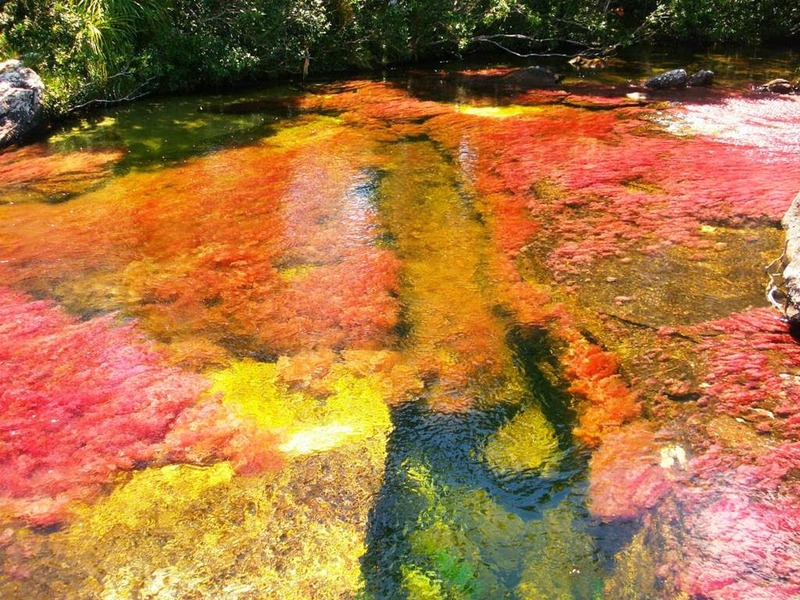 Cano Cristales is a Colombian river located in the Serrania de la Macarena province of Meta. 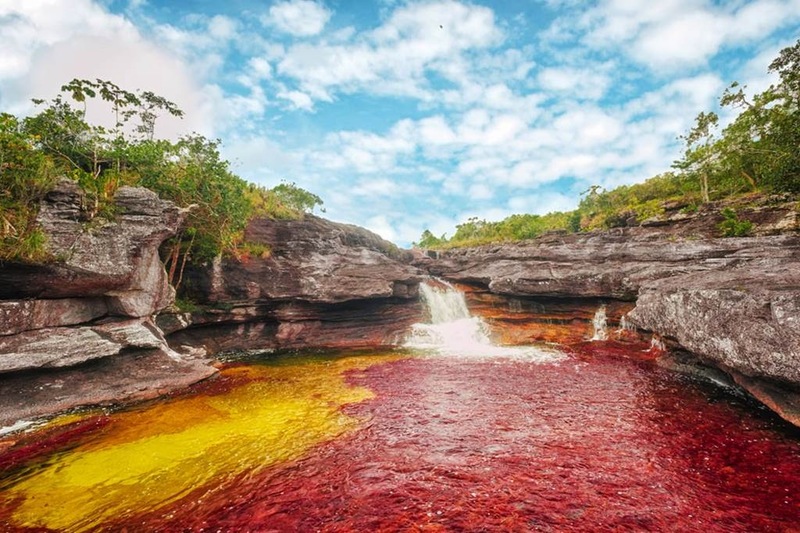 The river is commonly called "The River of Five Colors" or "The Liquid Rainbow" and is even referred to as the most beautiful river in the world due to its striking colors. 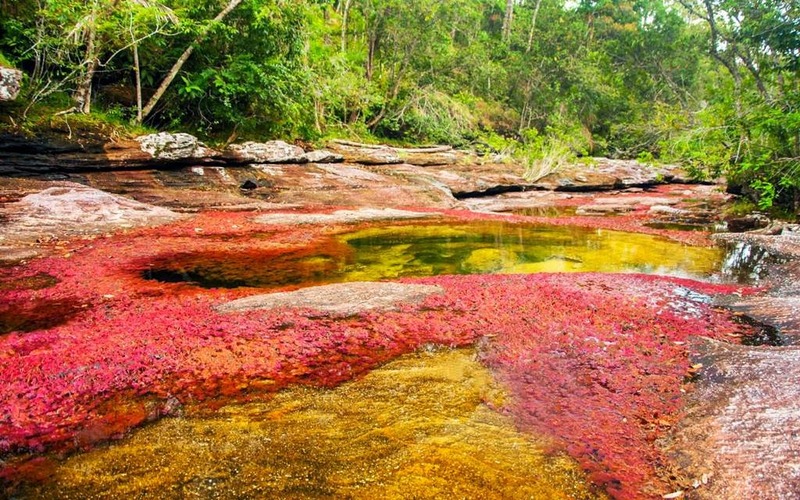 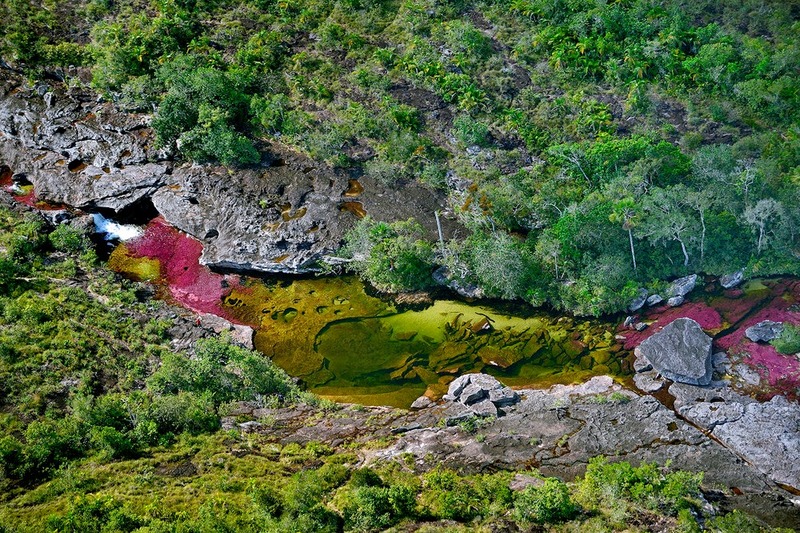 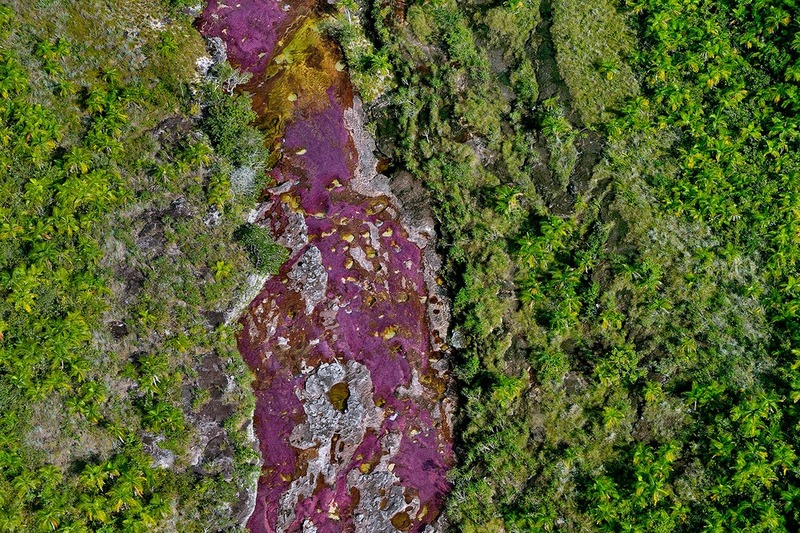 Cano Cristales is a stunning small river flowing through the Sierra de la Macarena in Columbia’s province of Meta, dons a stunning array of colors. 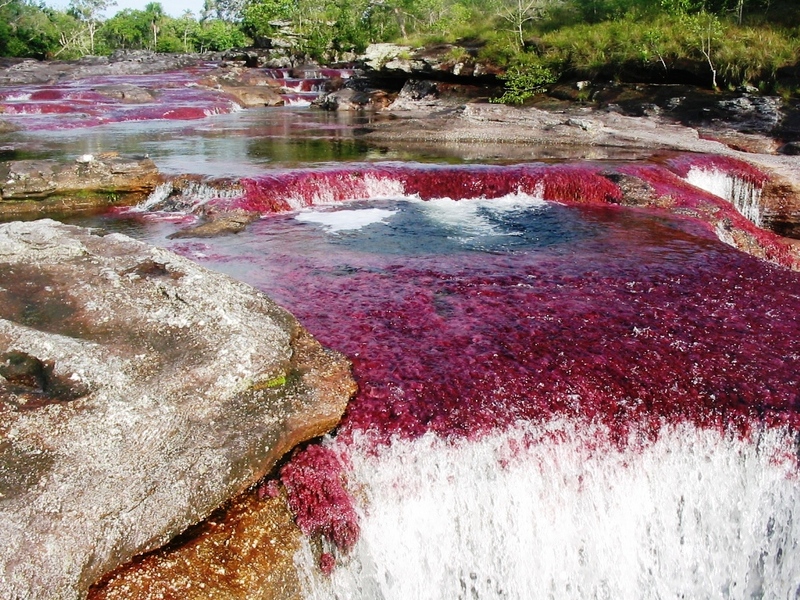 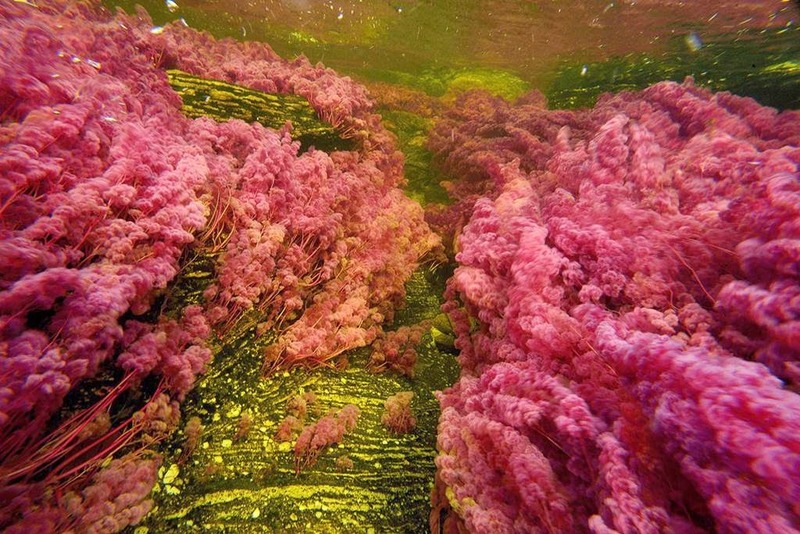 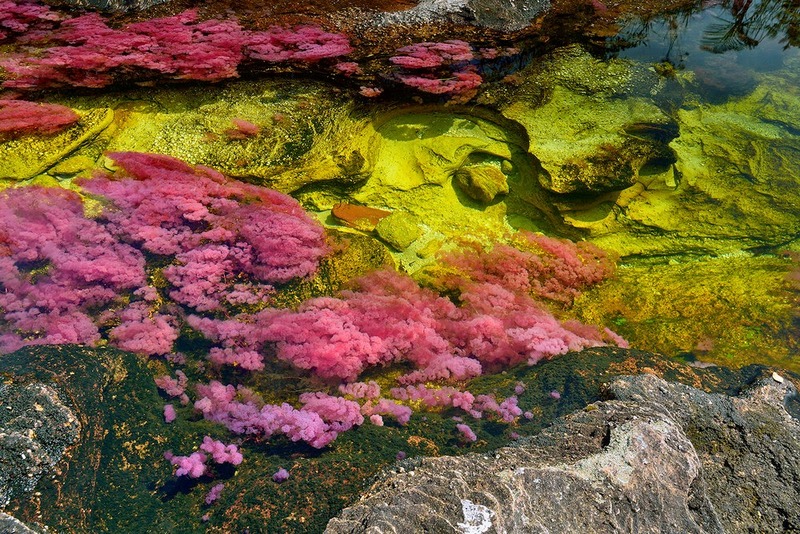 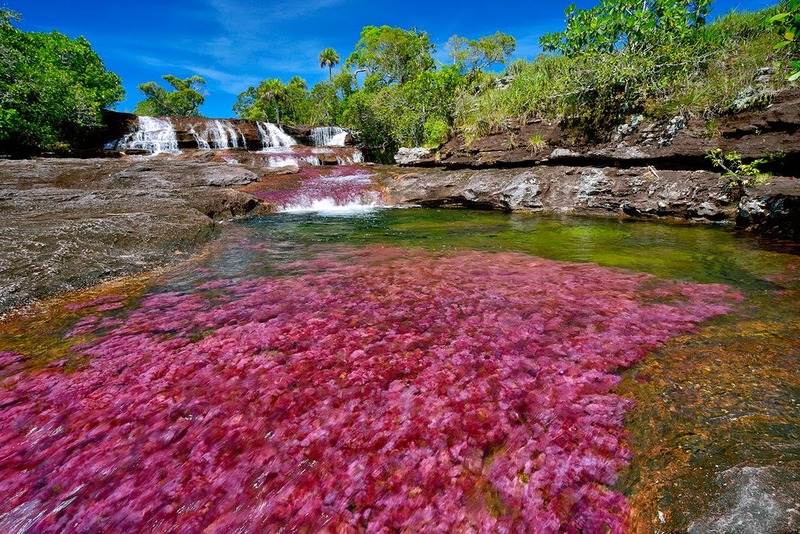 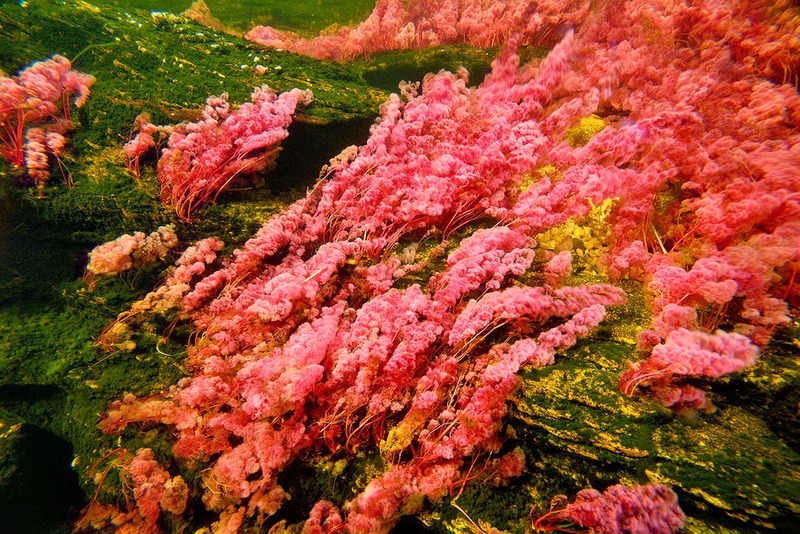 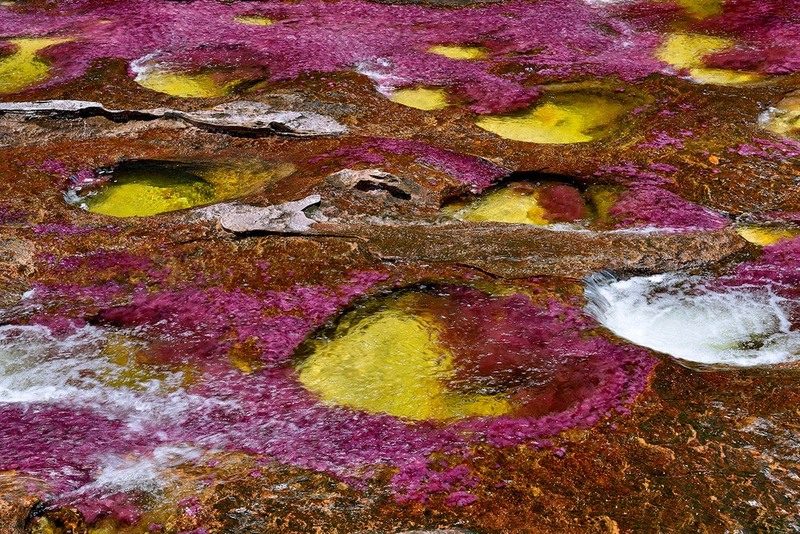 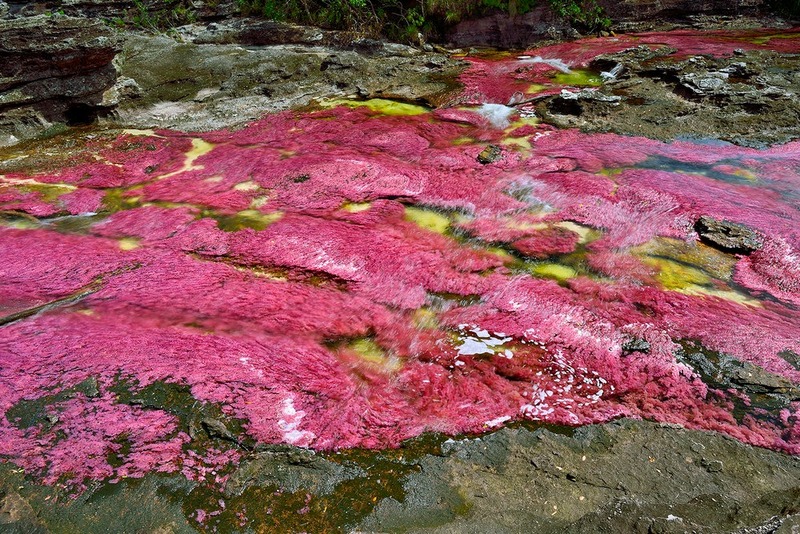 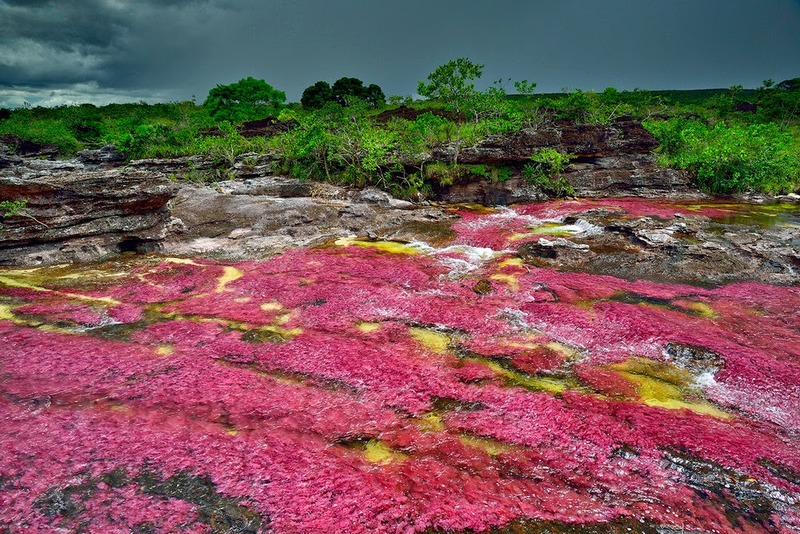 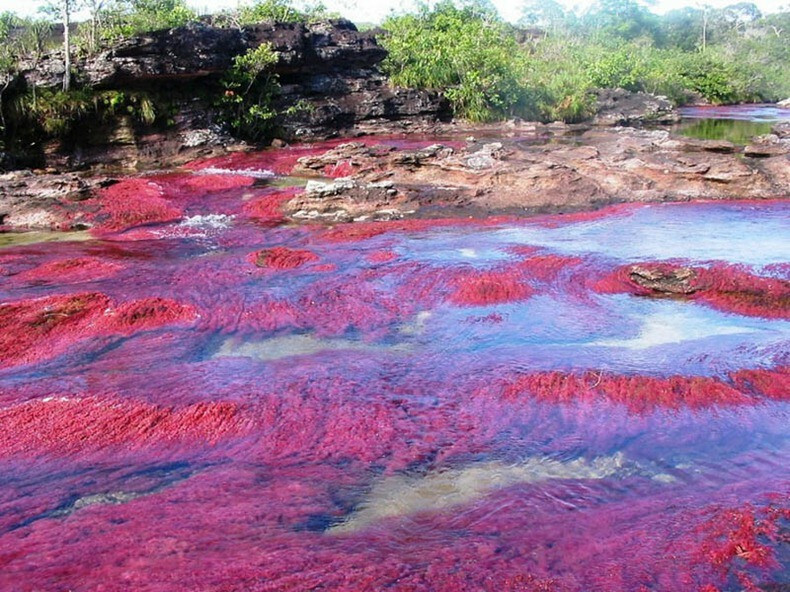 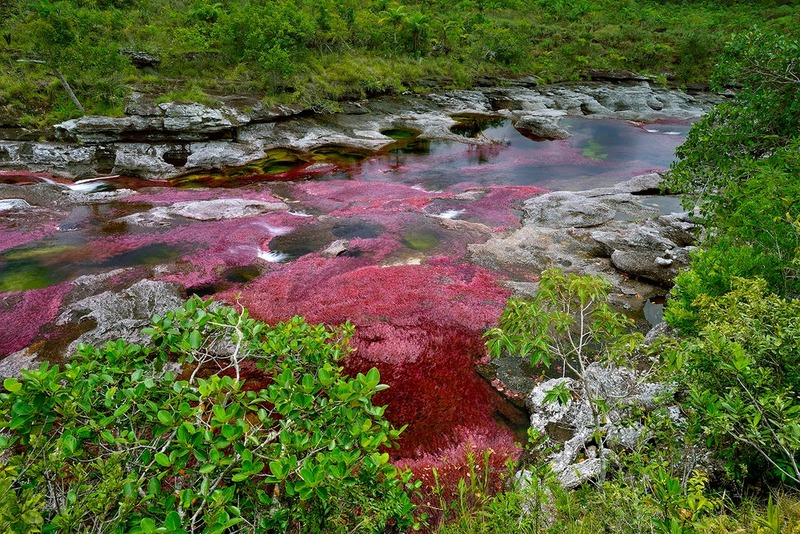 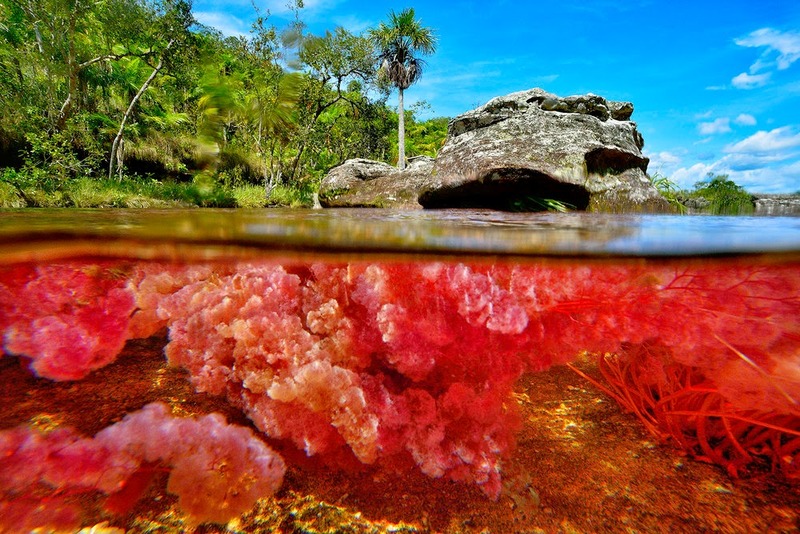 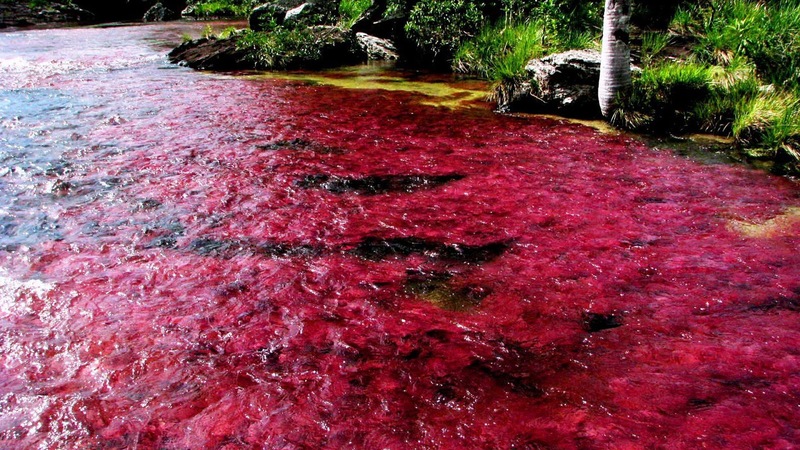 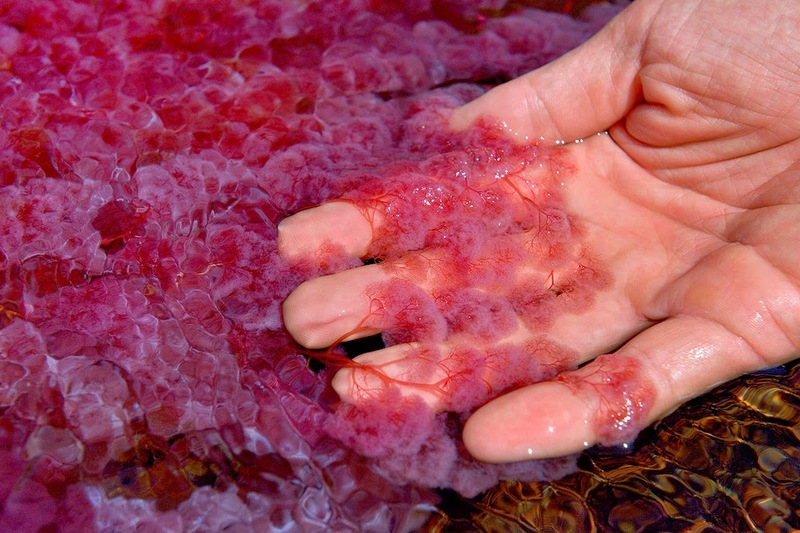 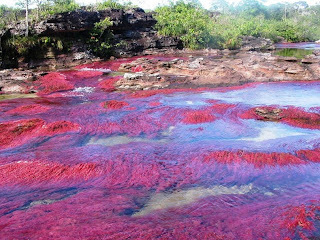 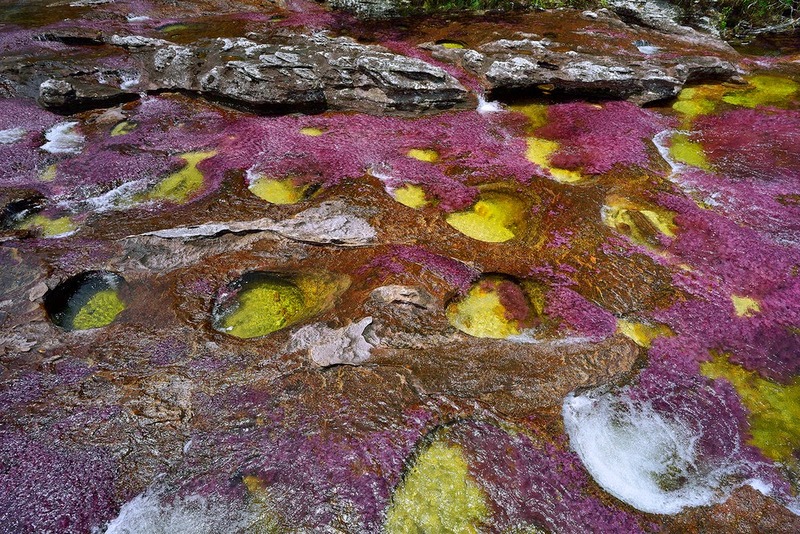 By attracting Colombian tourists, this exceptional phenomenon & an endemic aquatic plant stretches life and colors. 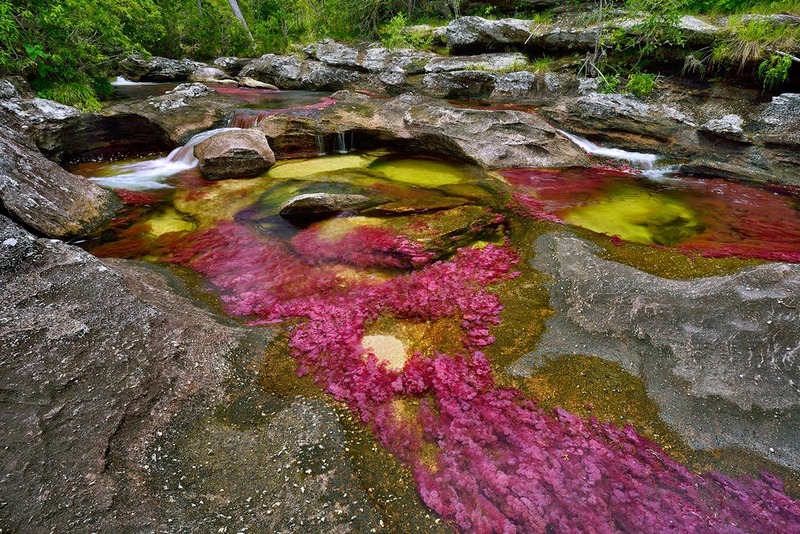 The populations of this area are controlled by the Colombian Revolutionary Armed Forces and coca production. 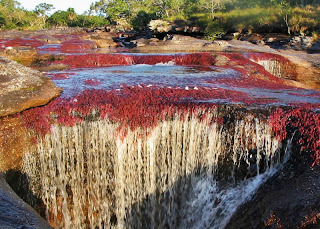 “El rio mas bonito del Mundo”, the most beautiful river of the world, the “River of five colors”, the “Rainbow River”, or even the “Escaped from Paradise”, are the sparkly appellations that Colombians give to Cano Cristales, a small stream situated in the heart of the Macarena National Park, 150 km south of Bogota. 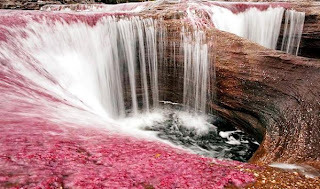 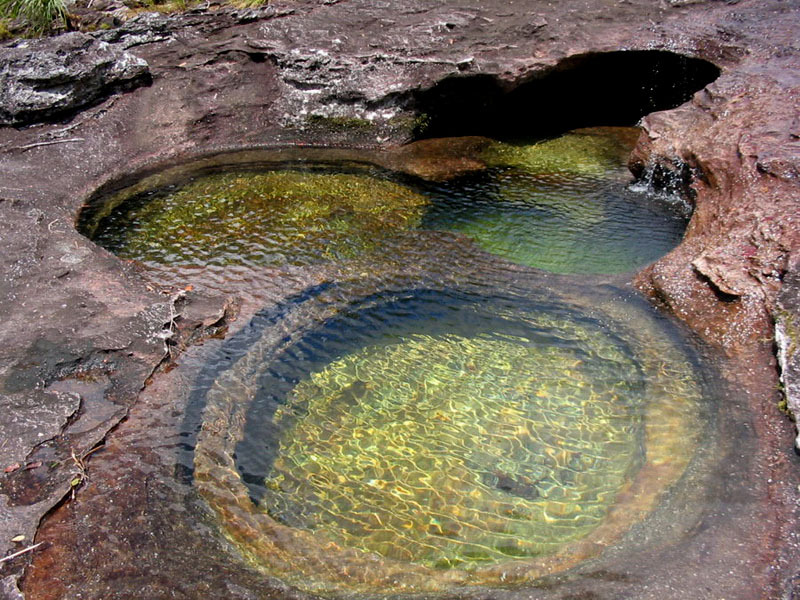 During the greater part of the year, Cano Cristales is a small stream jumping down and swirling in lovely giant rocky pots, fast flooding and draining typical of these tropical regions. 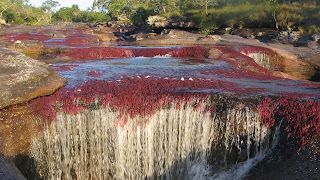 The river flows normally decrease in the end of the rainy season. 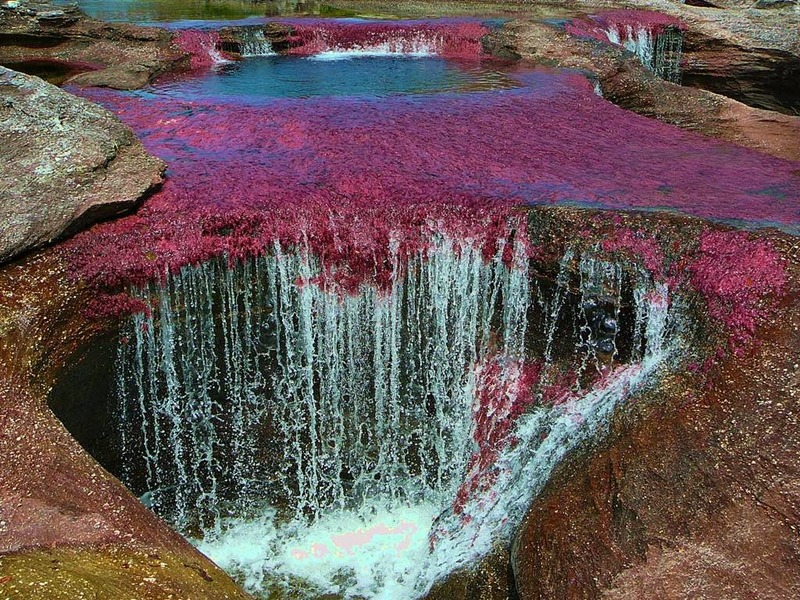 This is the time that the river is transformed to a festival of colors. 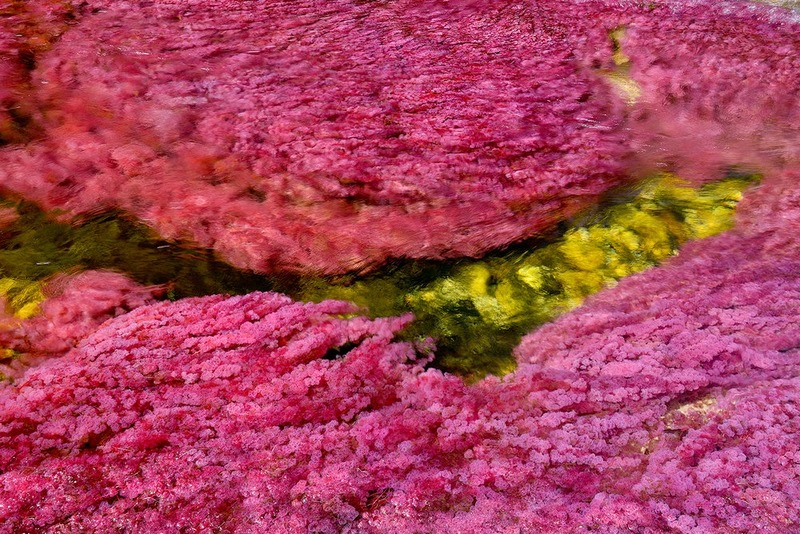 From the end of July, while the level of water finally drops, Macarena clavigera, an endemic aquatic plant in the Macarena Sierra, finds the perfect conditions for its survival in the river. 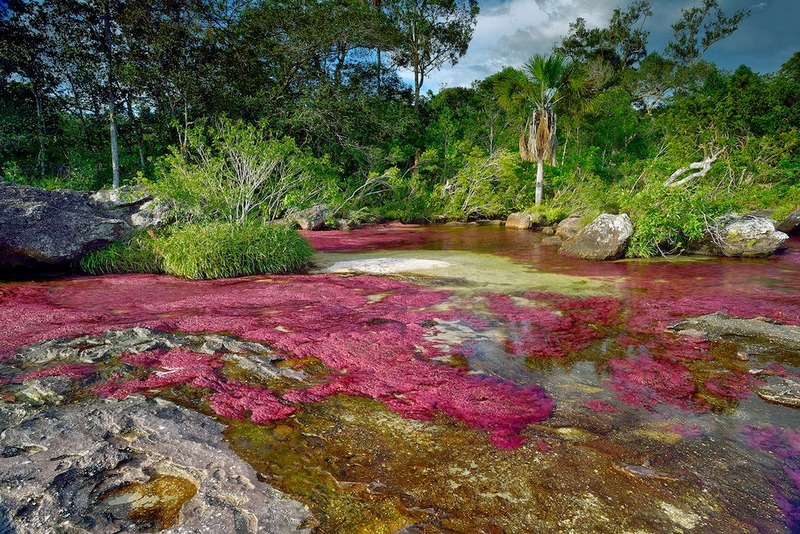 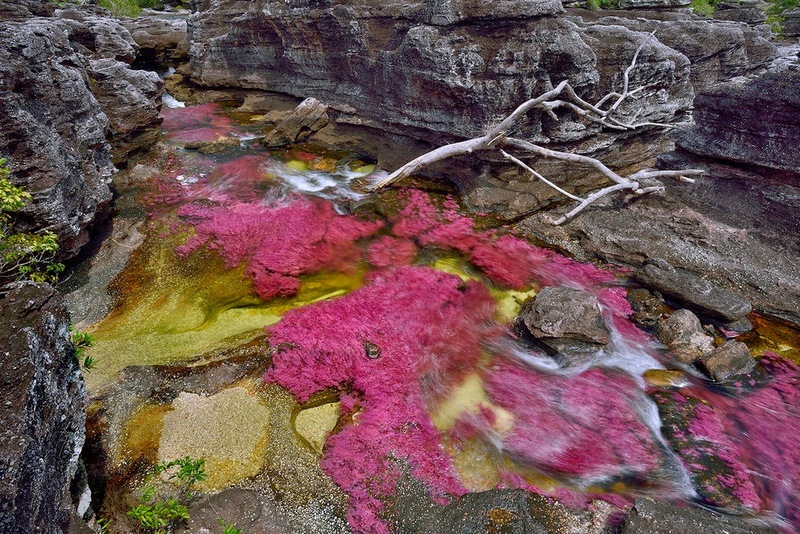 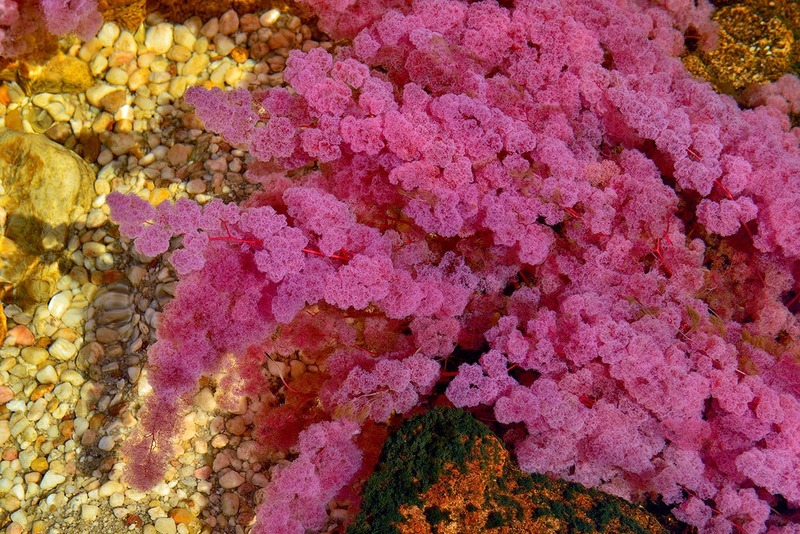 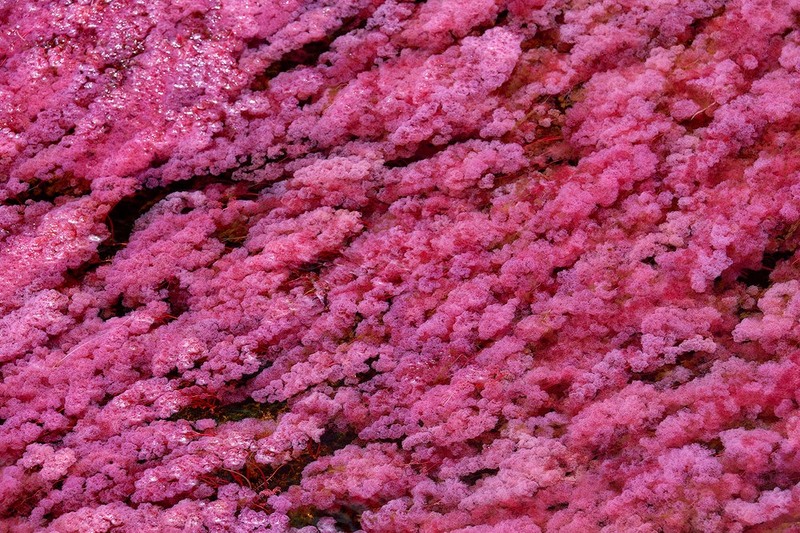 Firmly hanging on the dark rocks, it deploys a thick pink fuchsia hair, along amber and strongly mineralized stream with yellow sand, between green reflections of trees and the sky's azure touches. 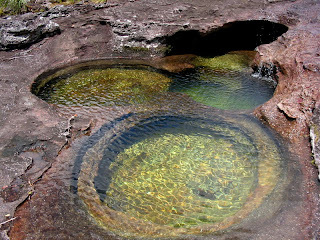 The Sierra de la Macarena National Park was formed in 1971 to keep this vital biological and geological region. 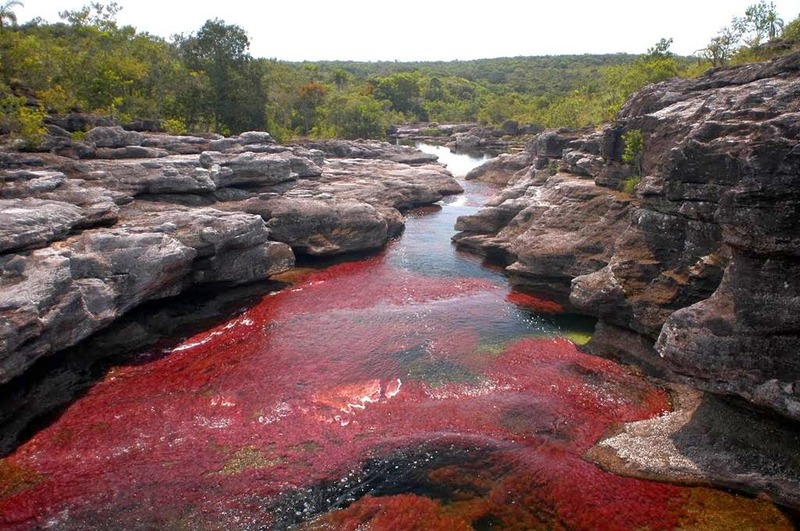 But this biogeographical crossroads, where plant and animal species of the plateau of the Guianas, Amazonia and Orinoco basin concentrate, was then closed for several years during the occupation of the region by the Colombia Revolutionary Armed Forces. The park security has increased from last four to five years, which attracts more than Colombian visitor per year. 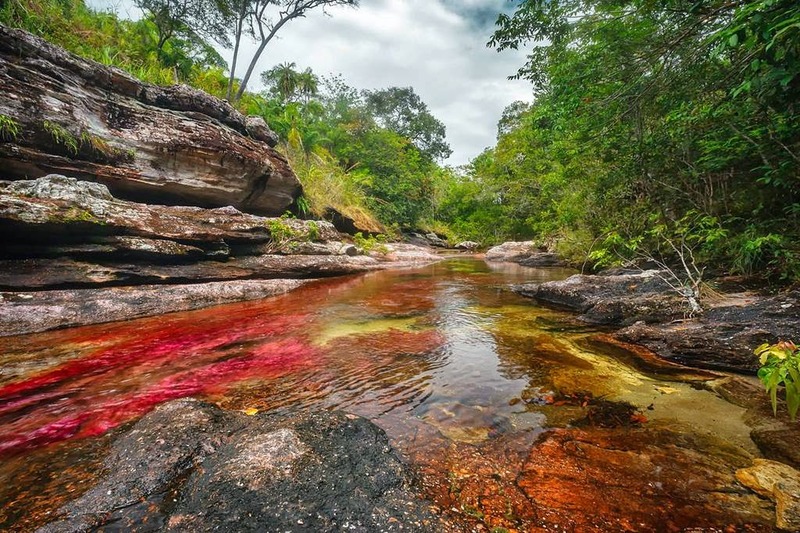 The fresh tourist thriving in this naturally isolated area, formerly controlled by the FARCS for 40 years and where the guerrillas raged, is welcomed. 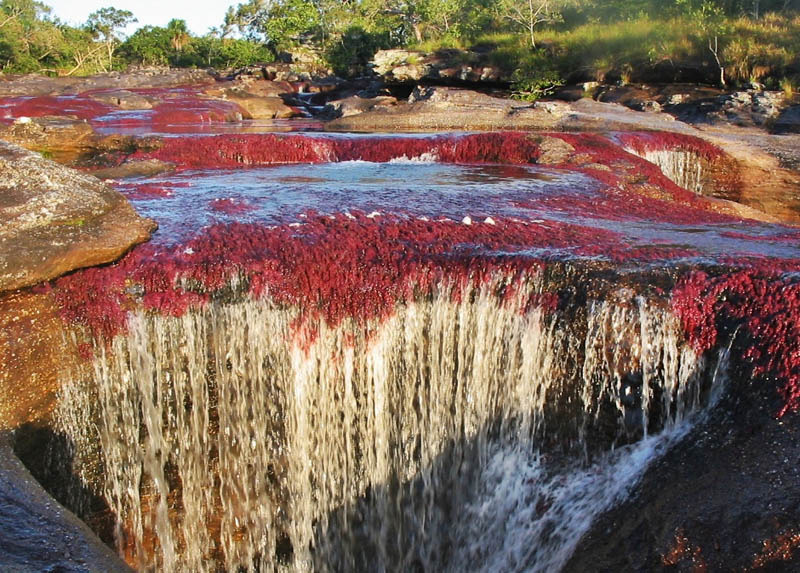 Between the eco-guides, pirogues drivers and derived jobs, Cano Cristales and its colors support approximately 300 families that once depended on farming and coca to live. The national park usually closes its doors in November in order to preserve the Macarena clavigera reproduction that will dons a dazzling array of colors next July to the river will recognized as the “Escaped from Paradise”.